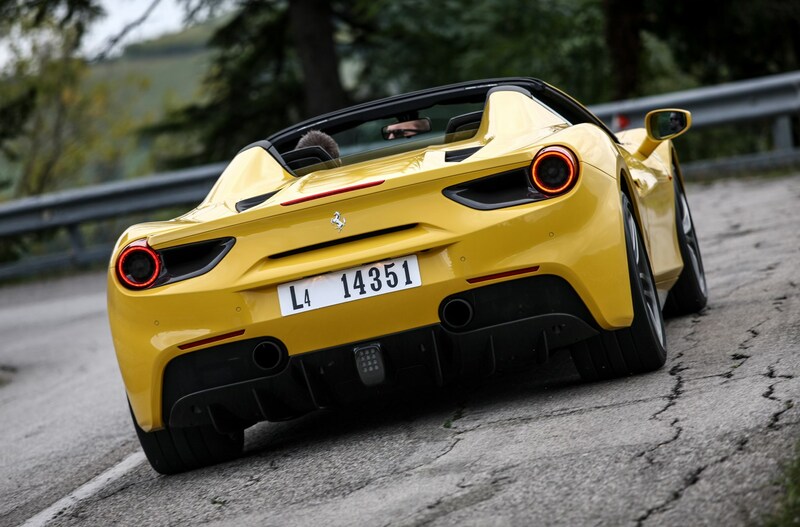 When you’ve been building roadsters that are as good to look at as they are to drive since 1975 (308 GTS) following the last one is a tough act. 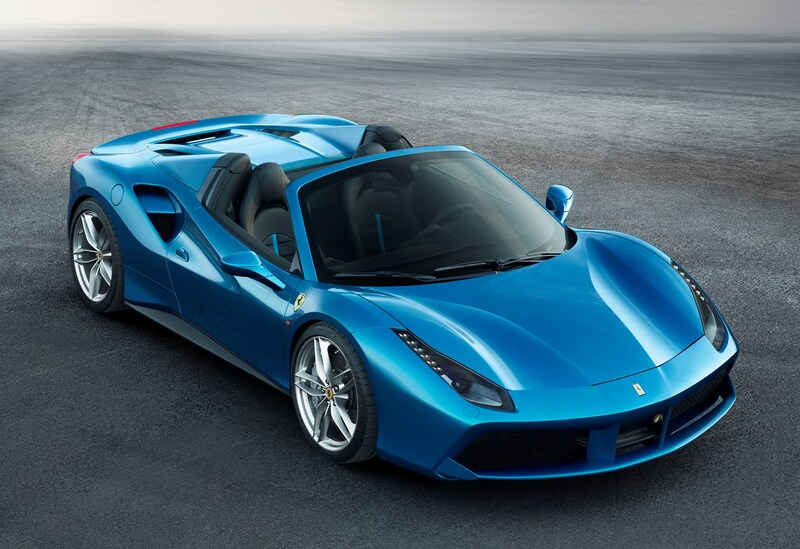 But with its latest model, Ferrari looks to have done it. 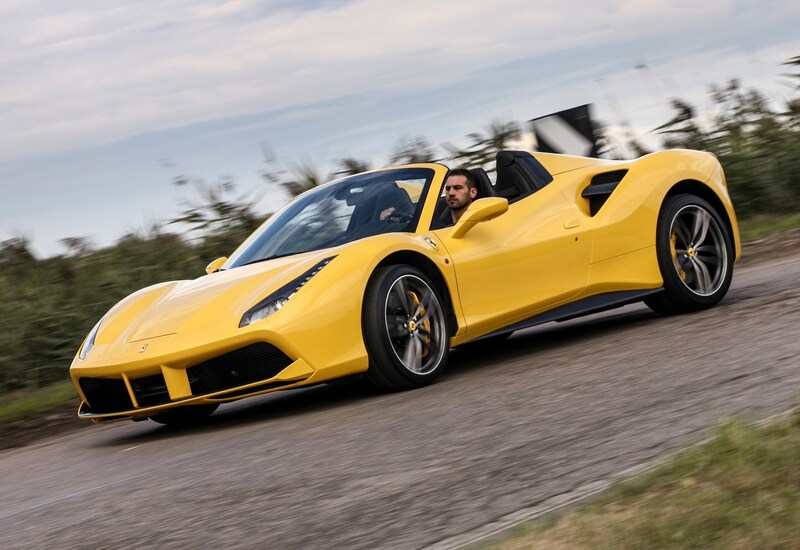 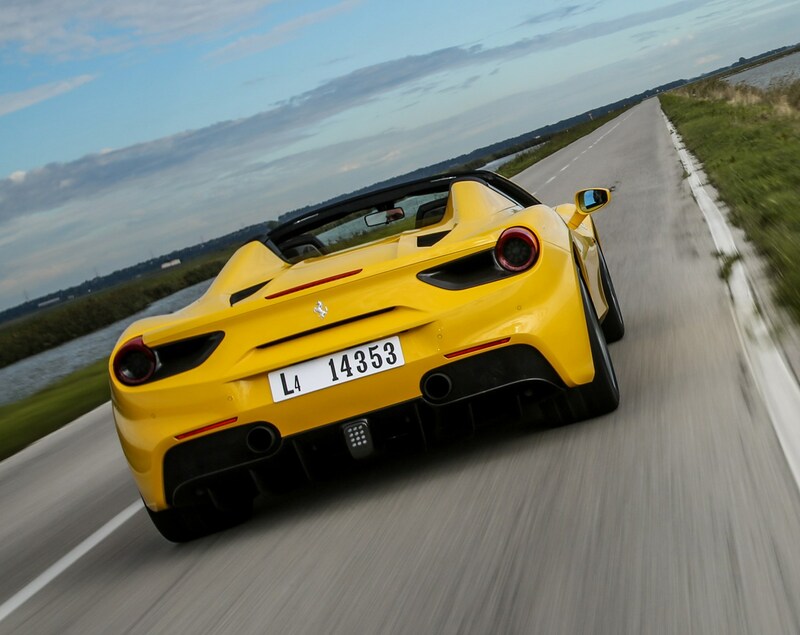 Read the rest of our Ferrari 488 Spider review to find out if it’s got what it takes to upset the Porsche 911 Turbo and McLaren 650S, and carry on where the excellent Ferrari 458 Spider left off. 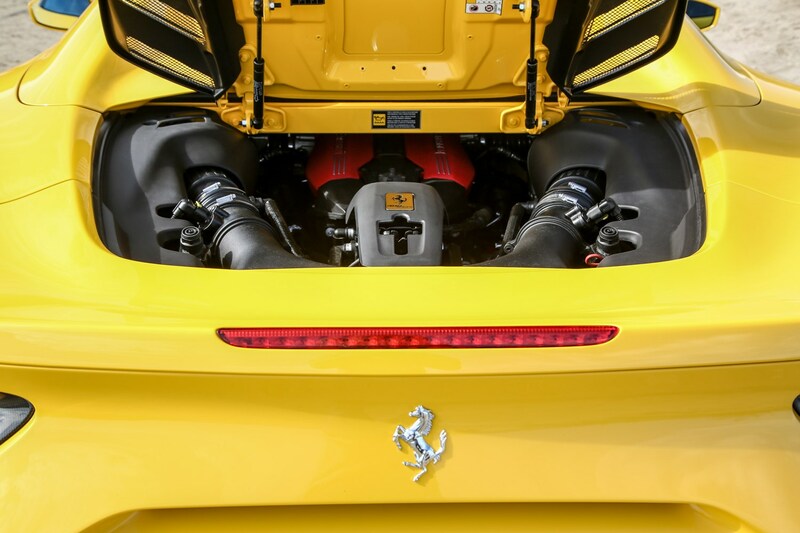 A lot has been made of Ferrari’s move into forced-induction engines, especially regarding the noise they (don’t) make, but it’s a switch born of (emissions-regulated) necessity rather than simple choice by the engineers at Maranello. 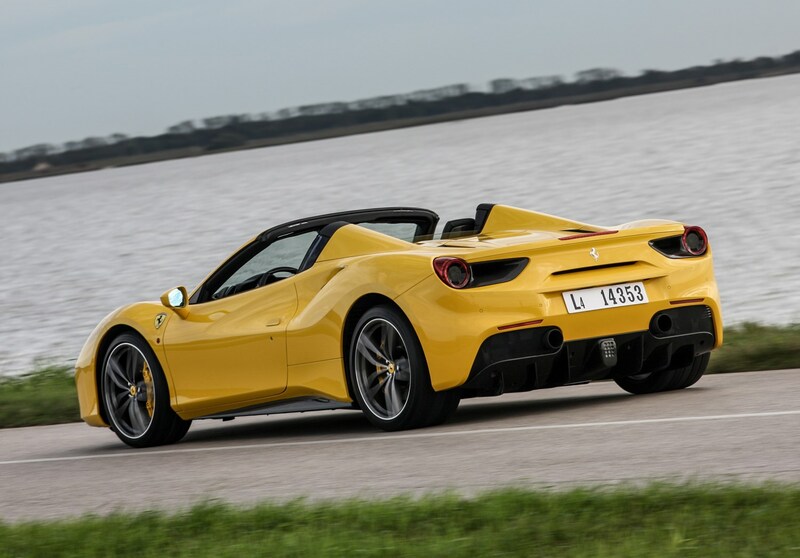 Sure the 3.9-litre twin-turbocharged V8 petrol engine doesn’t sing quite as aggressively as the naturally-aspirated 4.5-litre V8 in the previous 458 Spider, but it still shrieks, wails and thunderously rumbles better than any of its similarly propelled competitors. 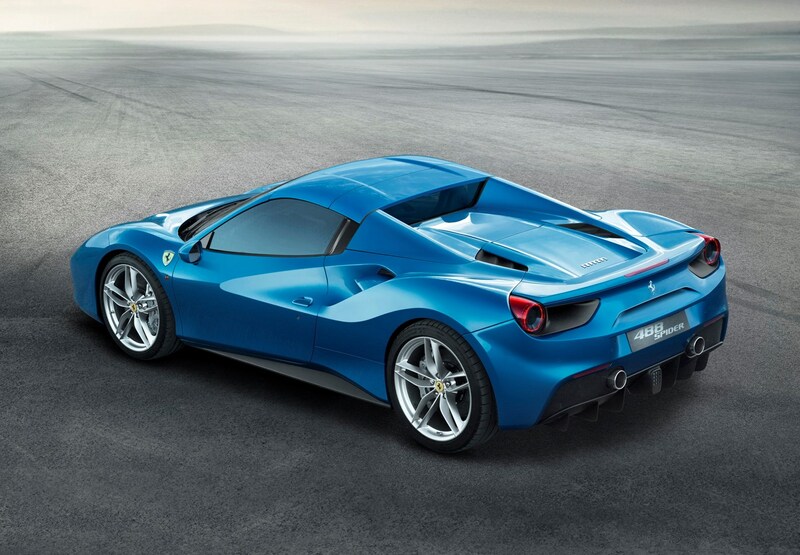 And while it’s only 15g/km more efficient than its predecessor (260g/km plays the 458’s 275g/km CO2 figure) it pays to remember it’s 100bhp more powerful and has 40 percent more torque. 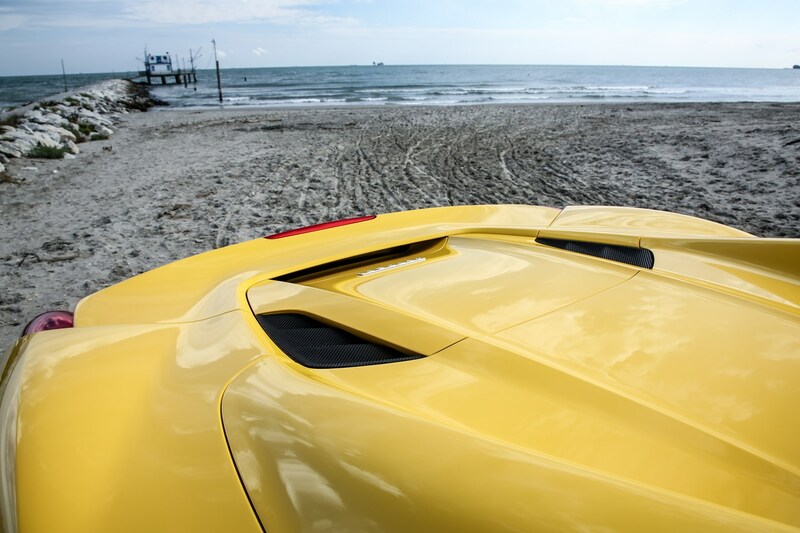 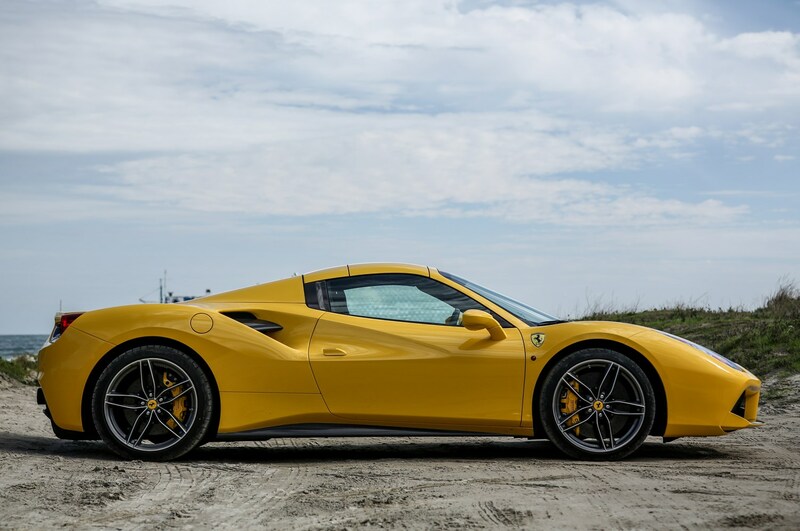 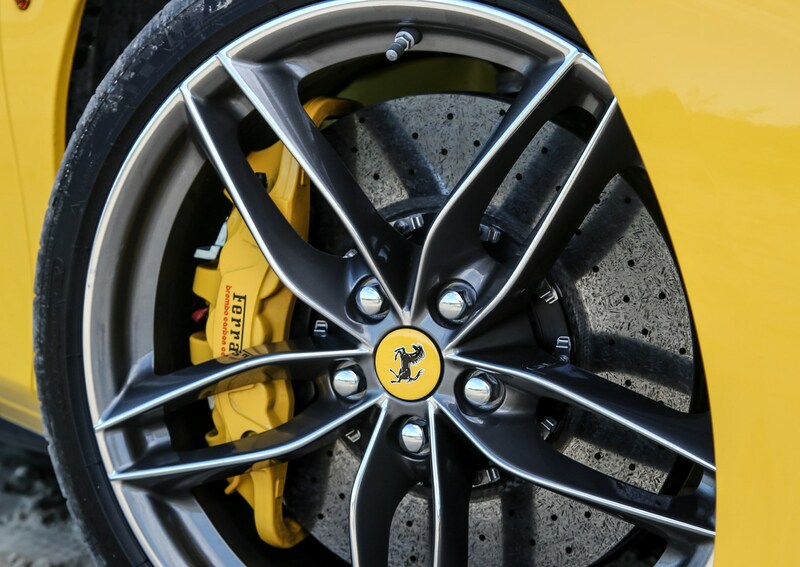 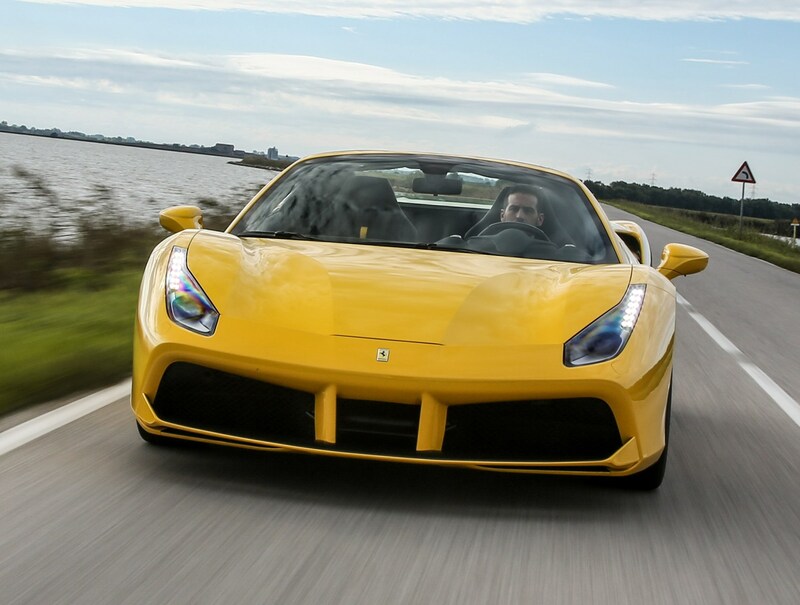 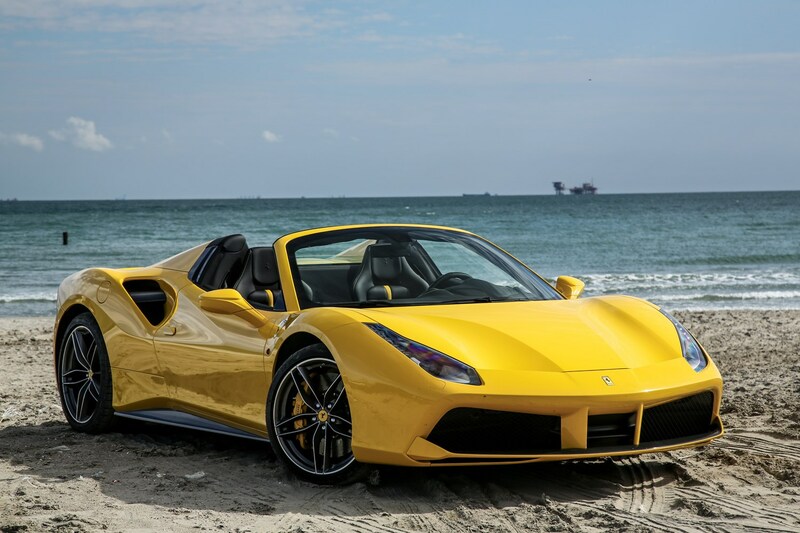 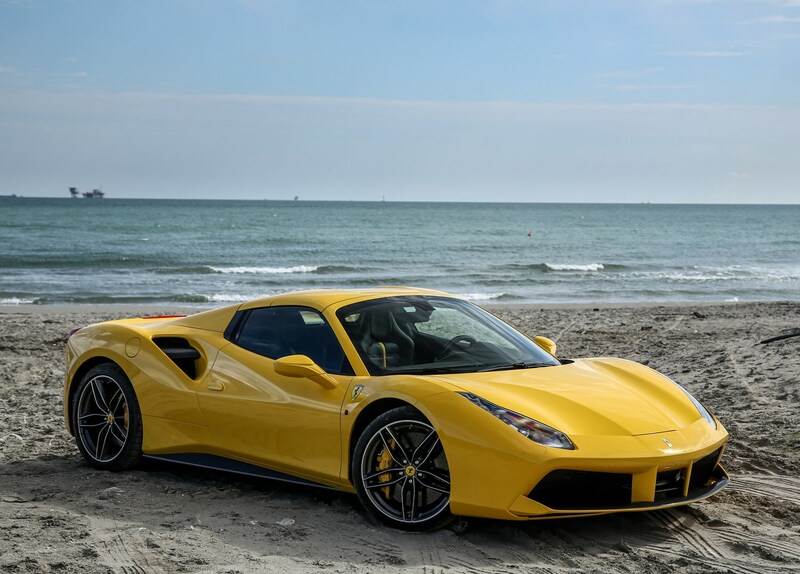 Thanks to the sophisticated F1-trac traction control and SSC-2 stability systems, the 488 Spider can rocket from 0-62mph in just three seconds. 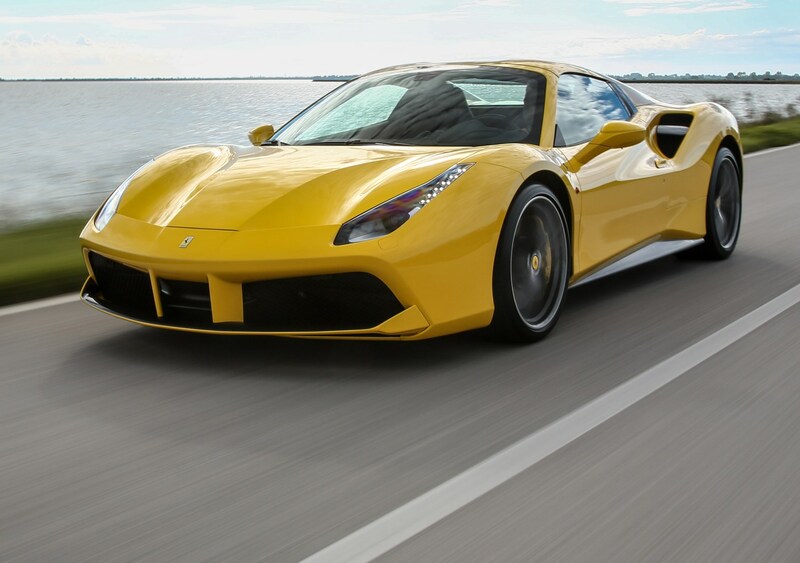 Just 5.7 seconds later it will have reached 124mph, and will finally stop accelerating at 203mph, should conditions and/or local laws allow. 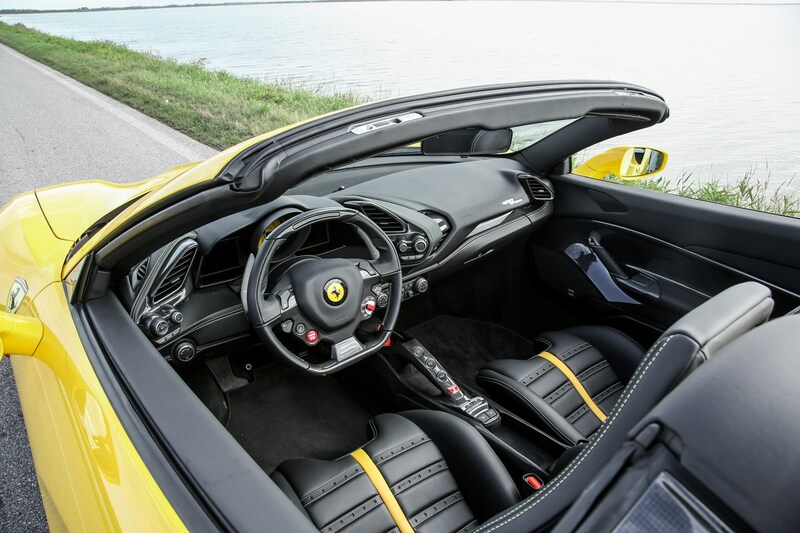 All of that performance is fed through a seven-speed dual-clutch automatic gearbox, which can either be left in full auto mode or controlled by paddles behind the wheel, to the rear wheels. 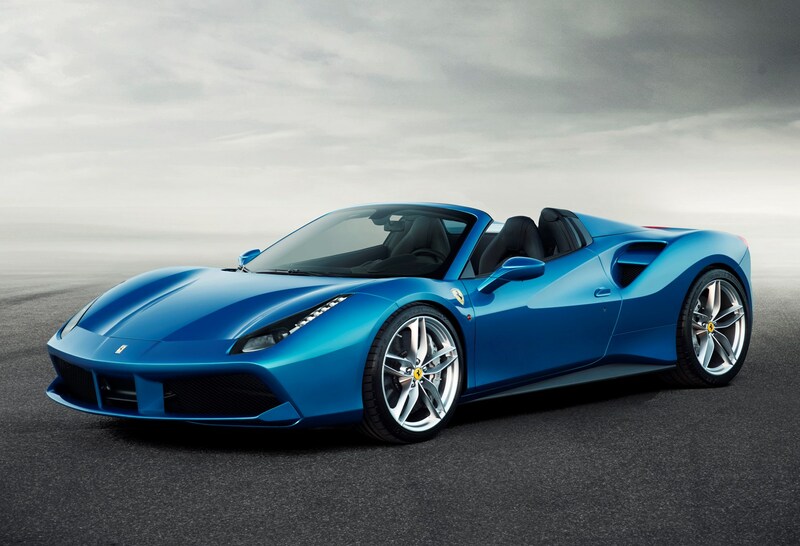 The Ferrari 488 Spider is the most aerodynamically slippery roadster yet built by Maranello; it’s designed to cleave the air with ease. 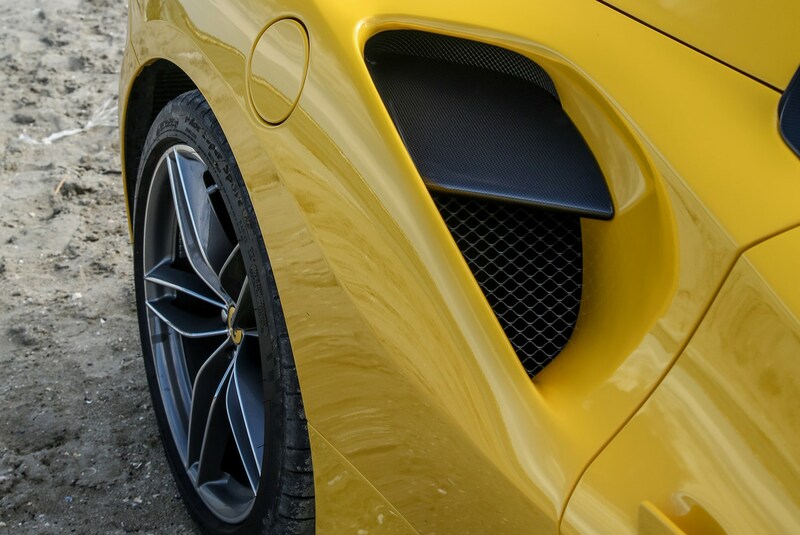 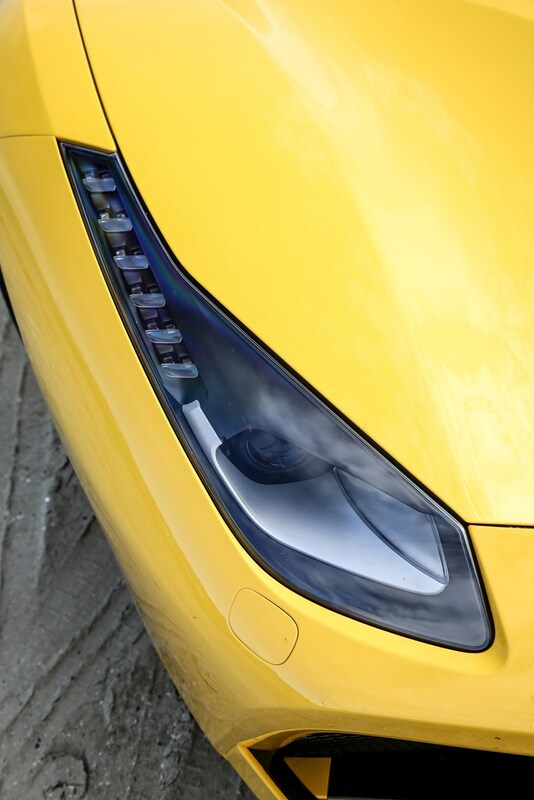 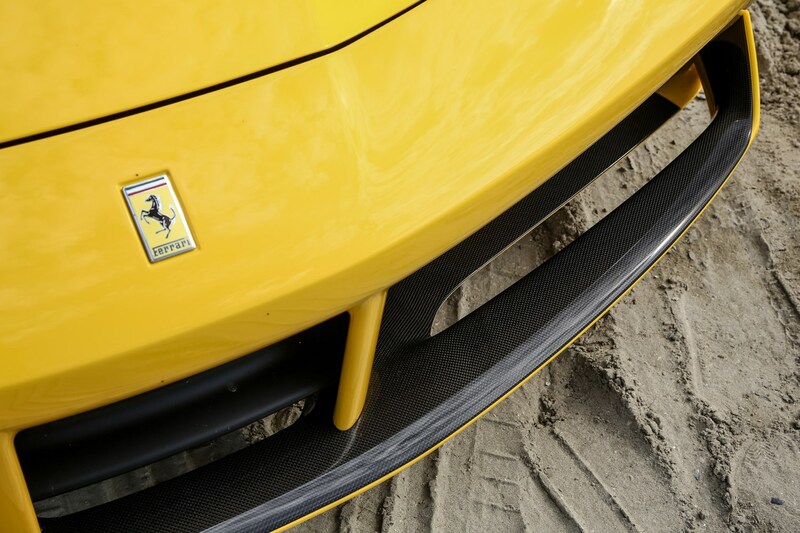 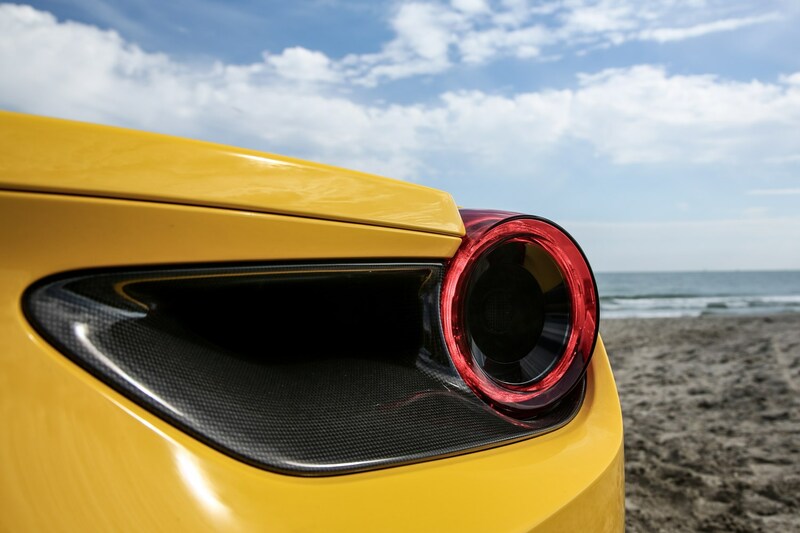 One look at the nose of the 488 Spider reveals a complex F1-inspired double spoiler, which splits the flow of air between the radiator (for cooling) and to the underside of the car (for downforce), and there’s an active rear diffuser too. 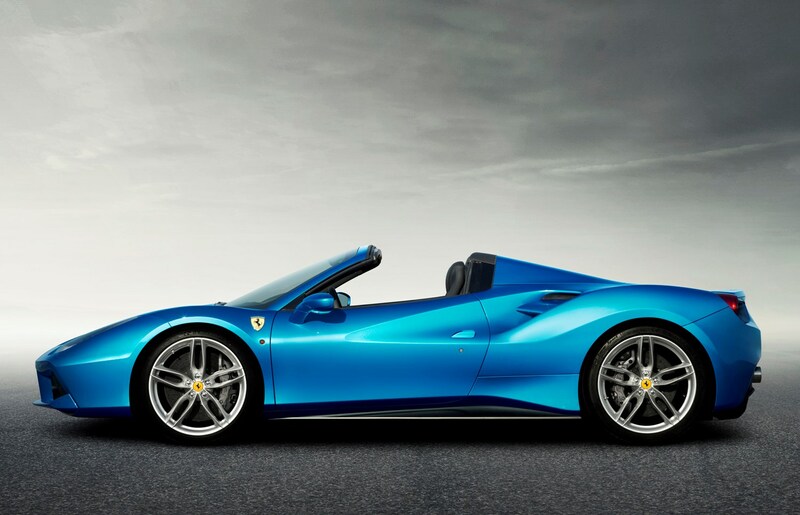 It’s sophisticated underneath that sleek bodywork too, with third-generation magnetorheological dampers mated to Ferrari’s electronic differential (E-Diff) and Side Slip Control (SSC-2) electronic stability control system. 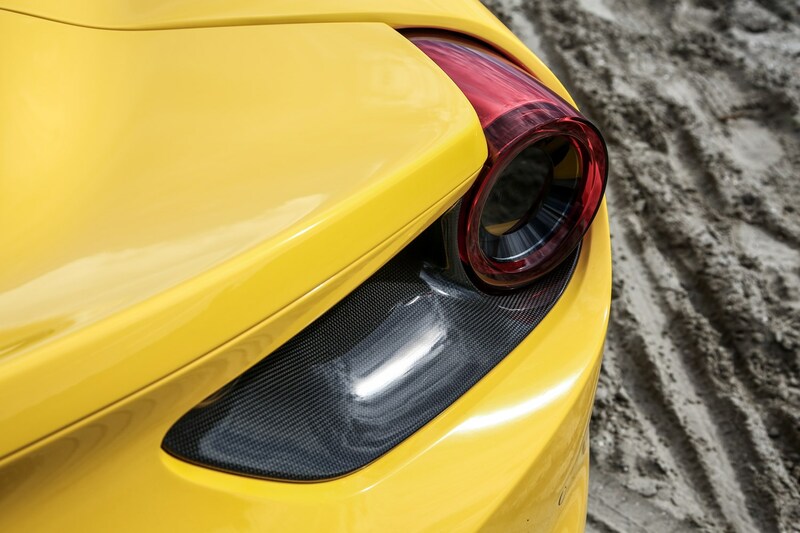 All that makes for an agile, confidence-inspiring car that can also manage to tread the line between comfort and focused control. 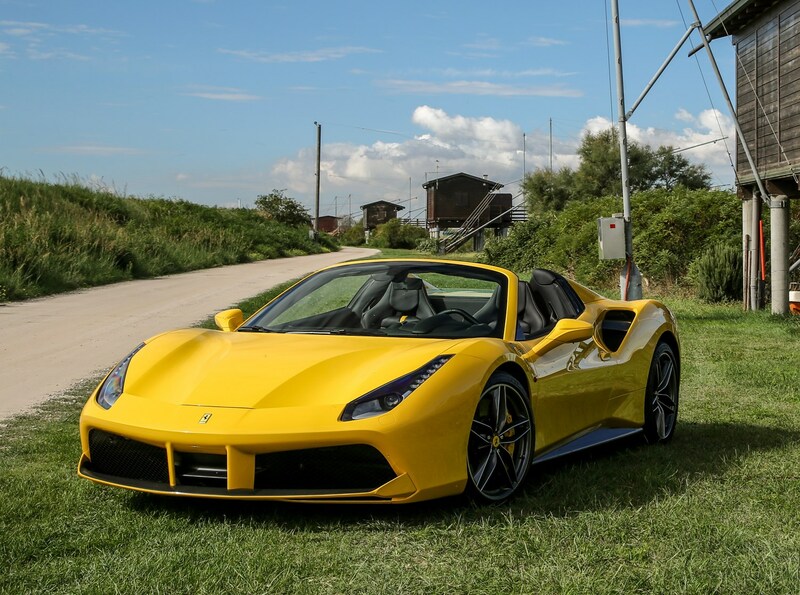 And like other recent Ferraris the 488 Spider’s responses are controlled from the steering wheel-mounted Manettino switch which rotates from Wet, Sport, Race, CT Off and ESC Off which loosens or tightens the system’s grip on the car. 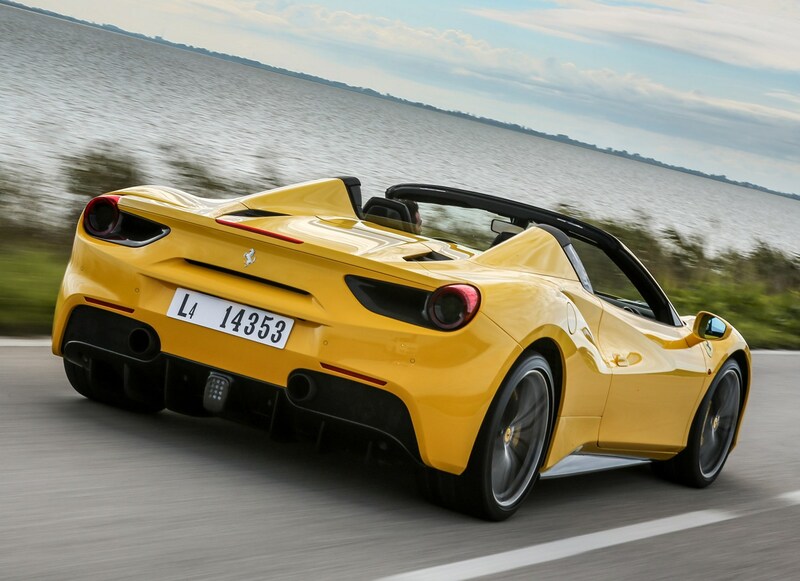 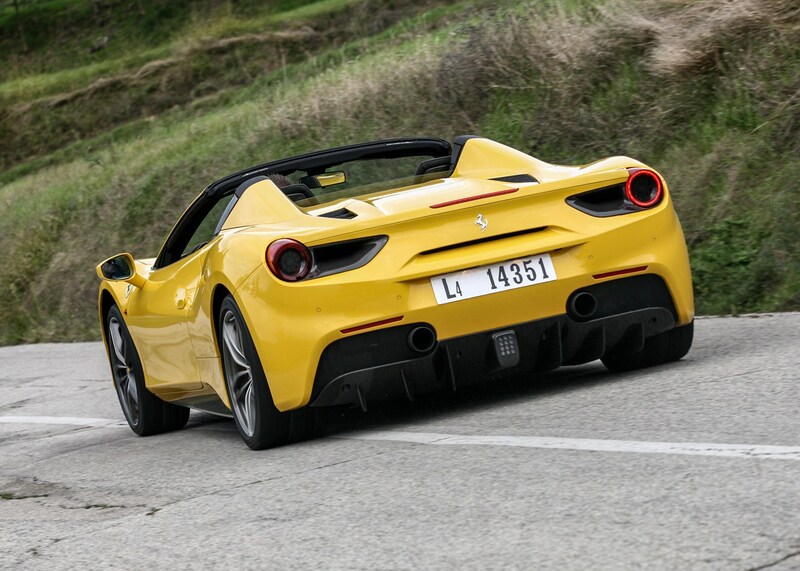 The lightweight retractable hard-top saves around 25kg over a regular soft-top, claims Ferrari. 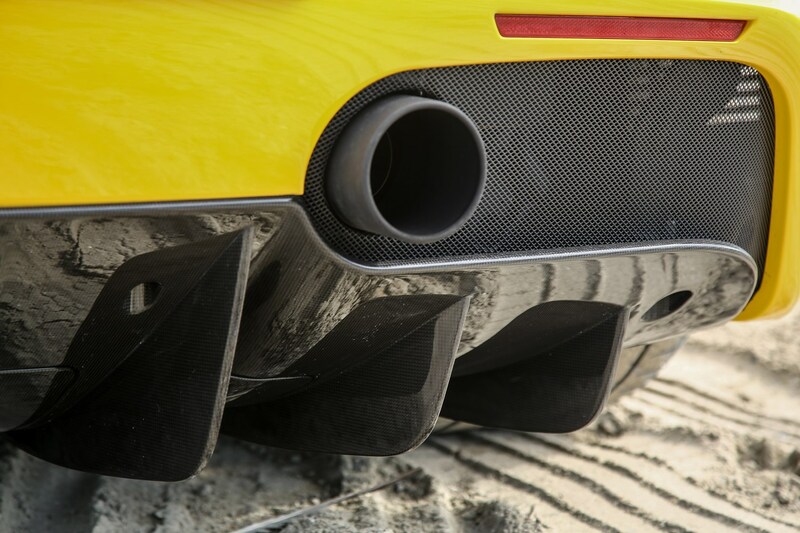 It raises or lowers within 14 seconds, and can be operated at speeds of up to 30mph. 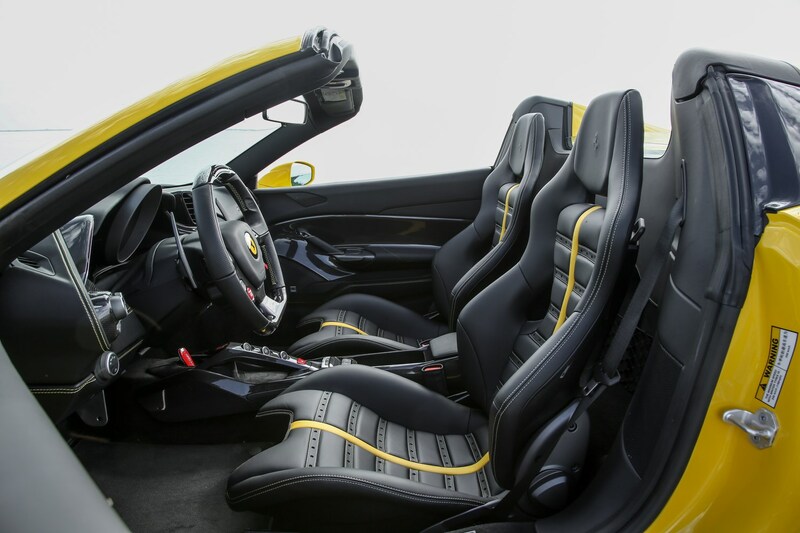 Behind the headrests there’s a retractable glass window, that can be moved into any one of three positions – fully retracted, halfway up and fully closed – depending on the mood of the occupants and irrespective of what position the roof is in. 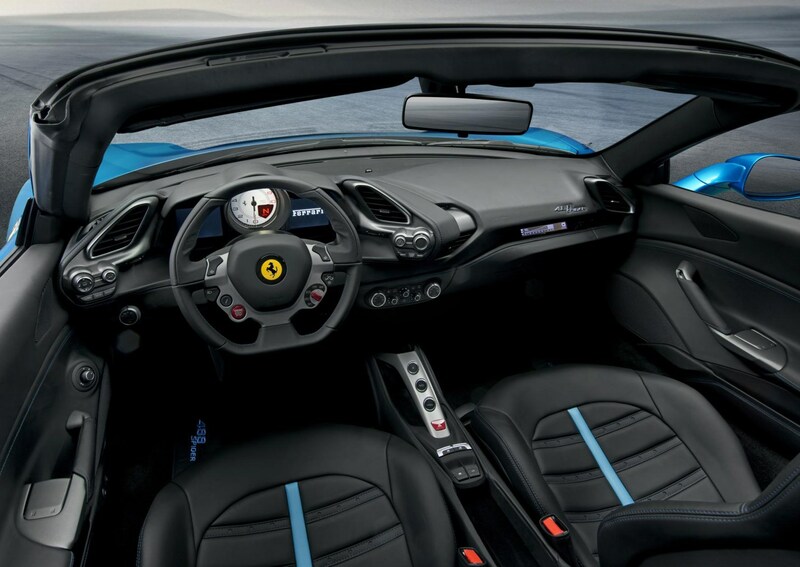 When it’s raining, occupants can enjoy the aural delights of that flat-plane crank V8 engine with the back window down despite the roof being raised. 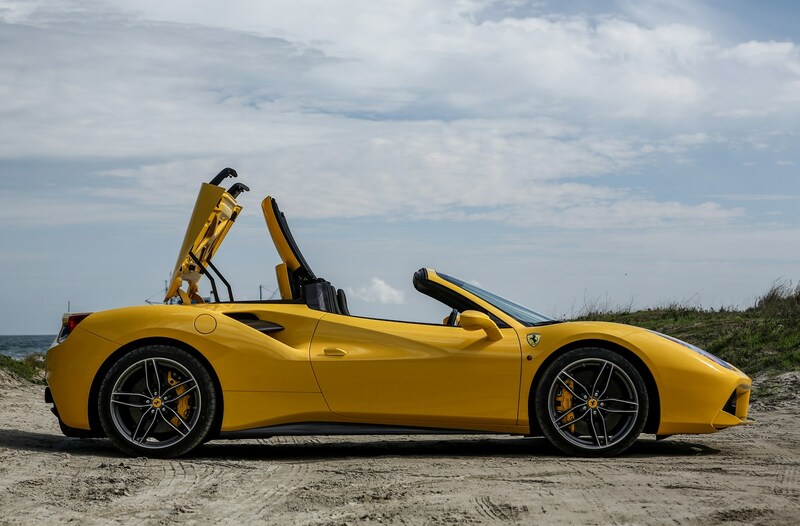 The firm is making a big noise about how much more practical the cabin of the Ferrari 488 Spider is versus the 458 Spider that came before it. 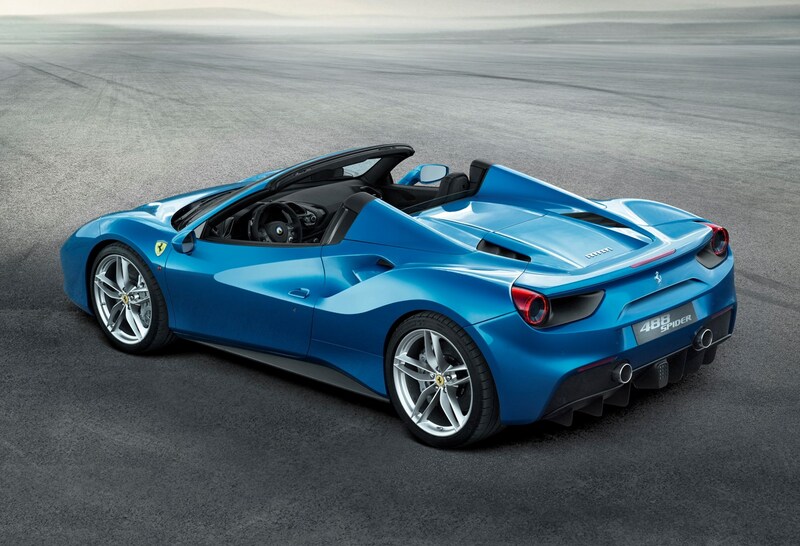 Truth be told, if you’re used to a family hatchback you’ll lament the lack of storage space, but for a mid-engined two-seat sports car the 488 Spider is perfectly practical. 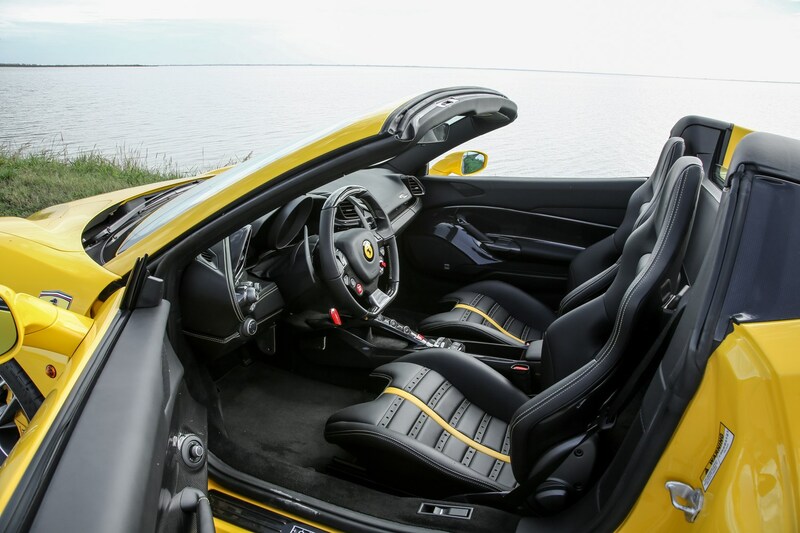 Behind the seats there’s a storage ledge perfect for soft bags, the doors now have more ergonomic armrests and usable storage pockets, while the cubby on the transmission tunnel now has a cover perfect for keeping prying eyes out when the car is parked roof-down. 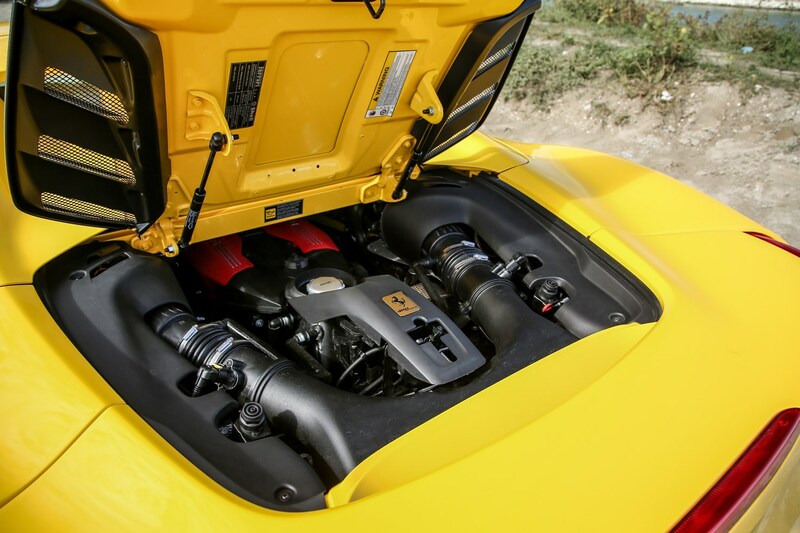 That’s on top of the deep, well-shaped and well-trimmed 230-litre boot in the nose. 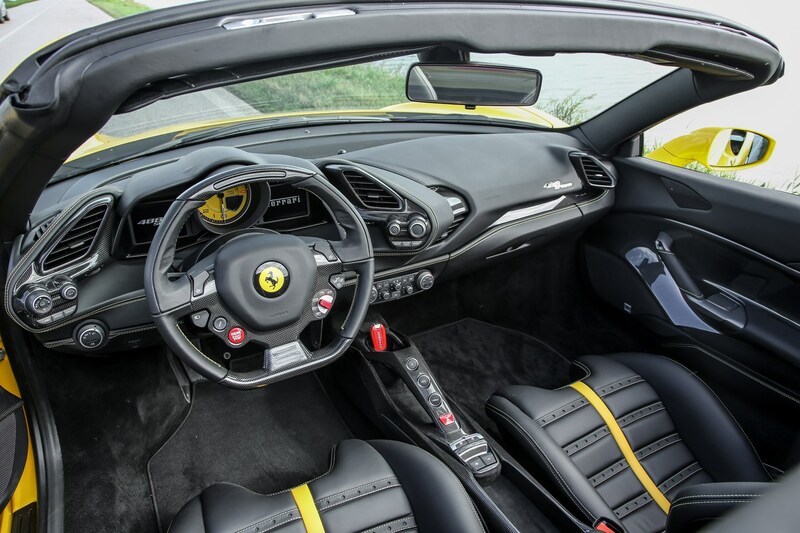 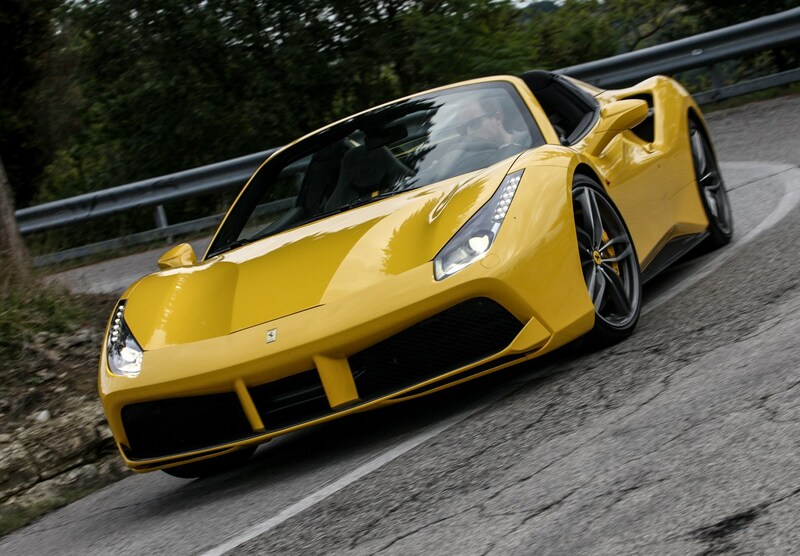 The rest of the cabin looks similar to the 458 Spider’s, but has been comprehensively updated. 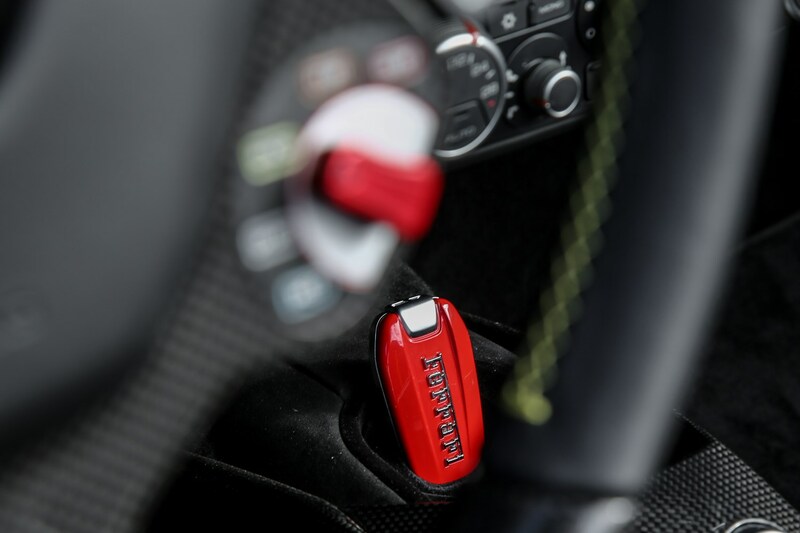 Most noticeable is the loss of traditional key and barrel on the steering column – it now has keyless ignition. 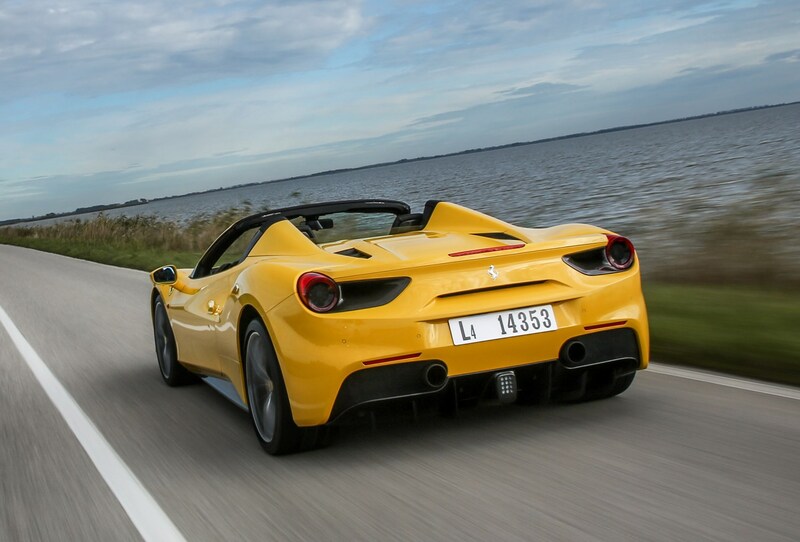 No Ferrari is sold as a standard car, and it’s no different with the new 488 Spider. 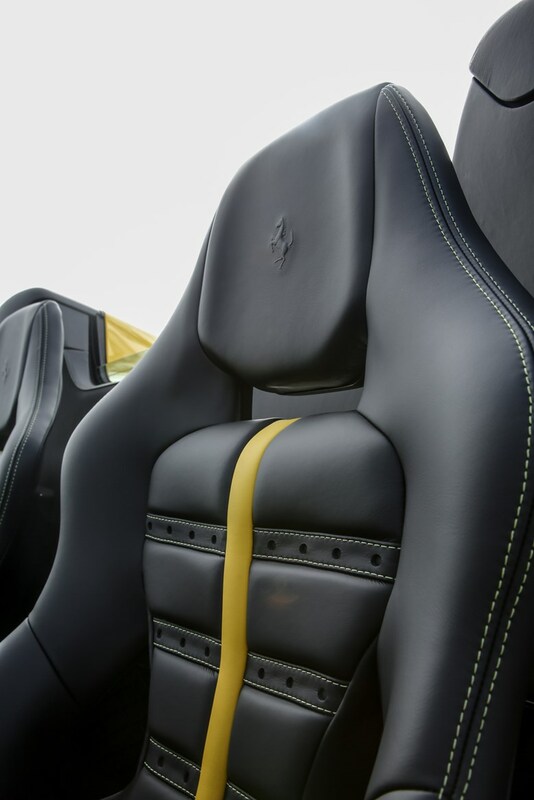 The myriad colour and trim options mean you’ll spend as long deciding on your final specification as you will waiting for the car to be made and delivered from Italy. 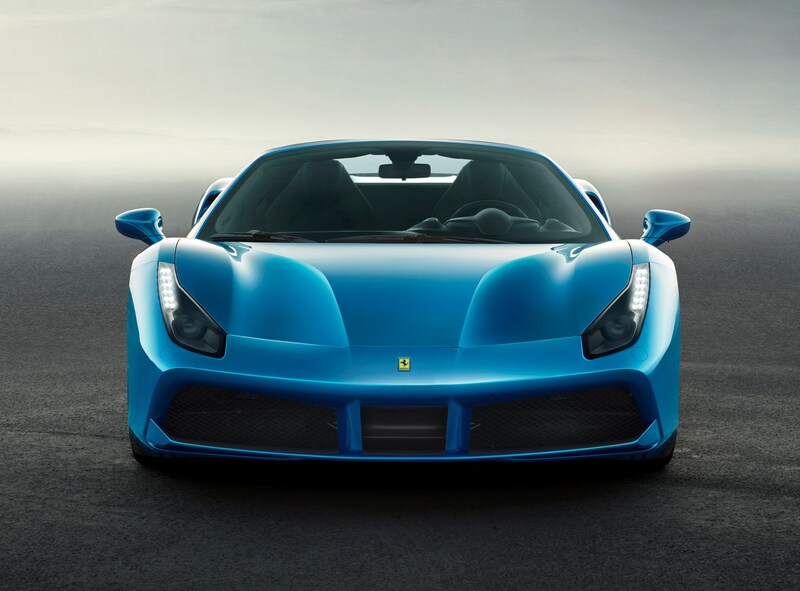 Genuine Ferrari retailers can help you make the correct choice with specialists in the showrooms. 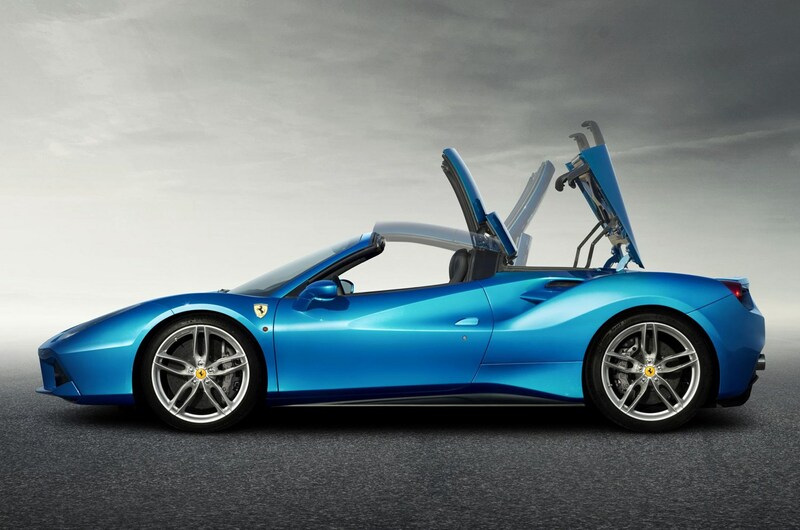 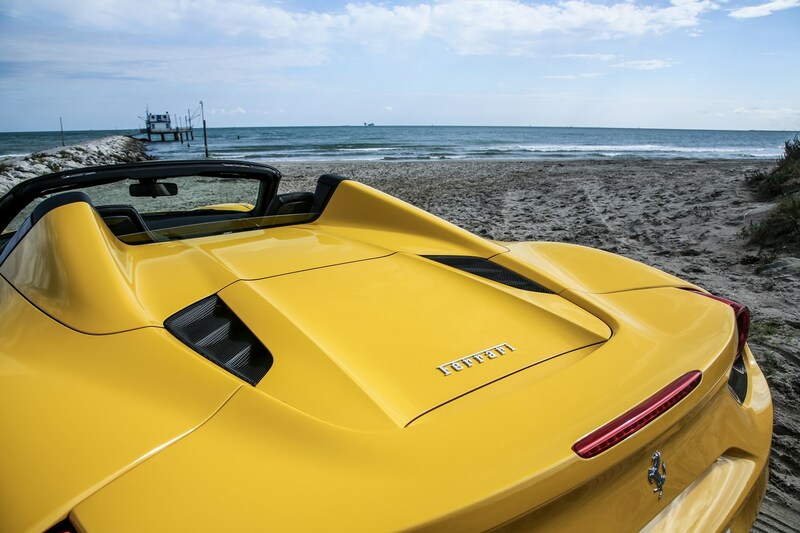 Every 488 Spider comes with the firm’s four-year warranty, which can be extended annually for up to 12 years with the New Power Warranty, which also includes annual roadside assistance. 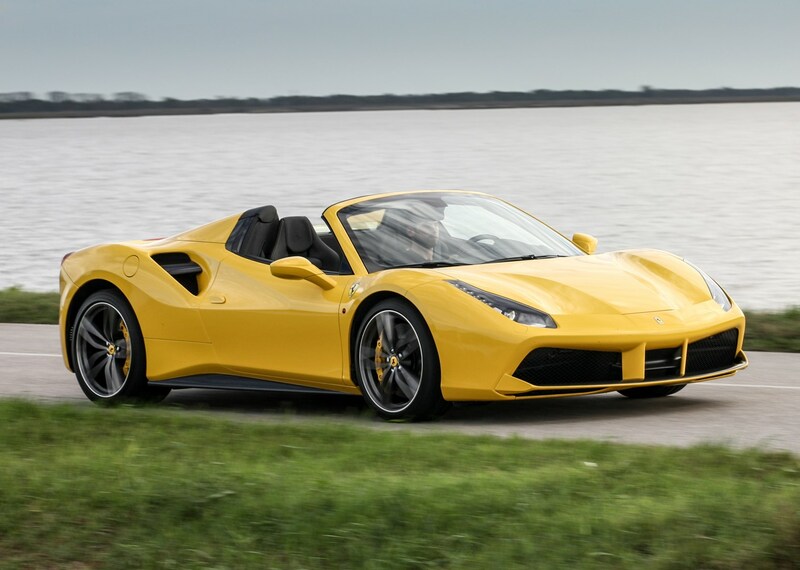 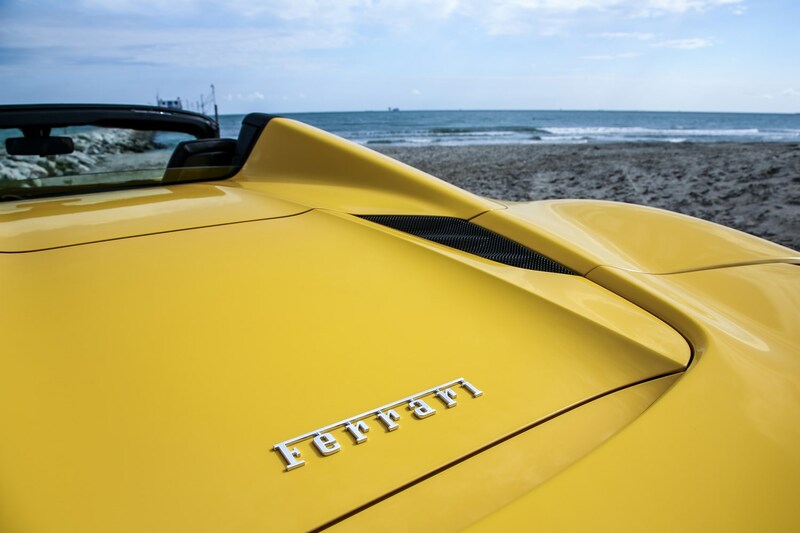 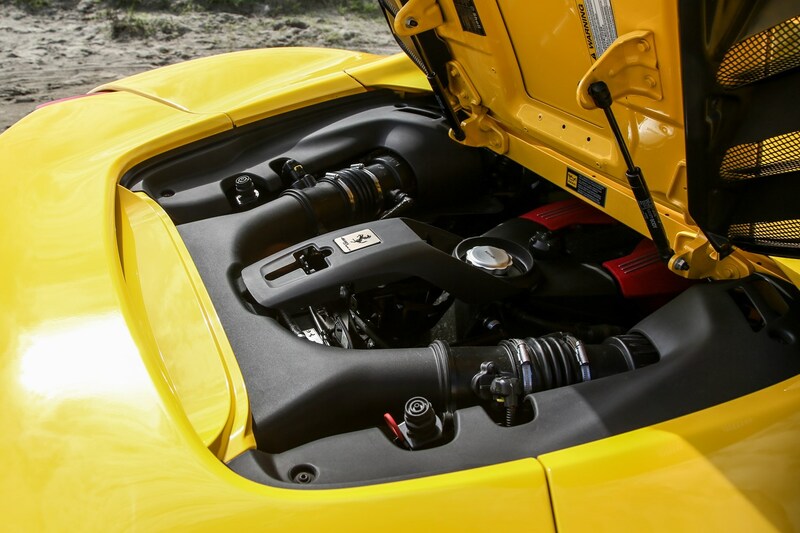 And a 488 Spider may not be as prohibitively expensive to maintain as you might expect either, as the seven-year Genuine Maintenance programme which takes care of the general consumables for you every 12,500 miles or each year (whatever comes first). 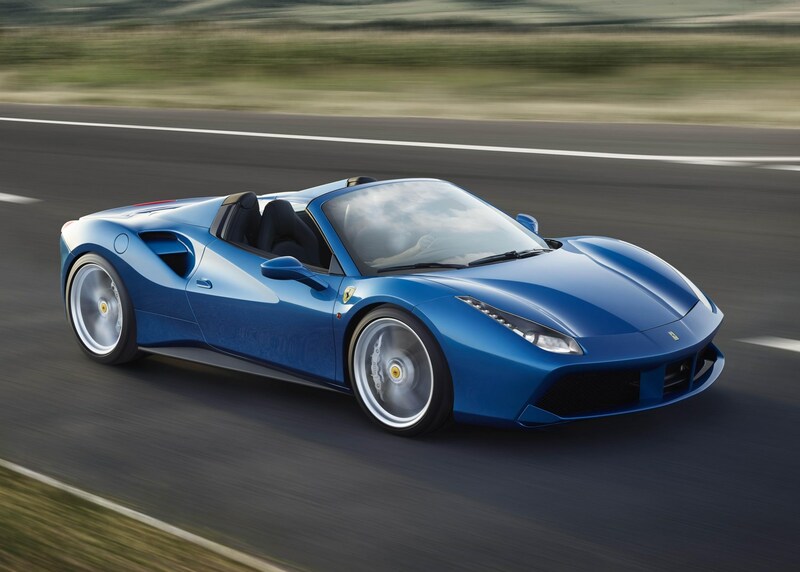 The Ferrari 488 Spider is available to buy now, with UK prices starting at £204,400. 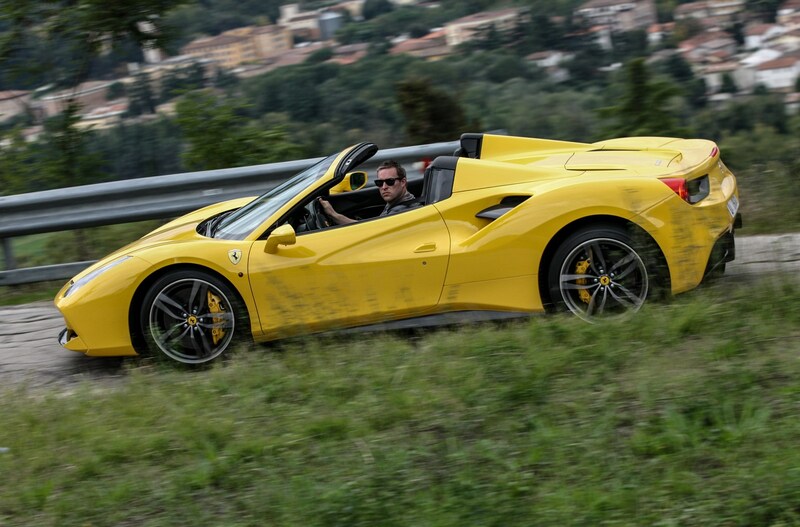 Read the rest of our Ferrari 488 Spider review to find out if it’s where you should invest your cash.